Barry Casson, who has come to visit with club members before, returned on Mach 23rd to show us samples of projects that he has produced and discuss some aspects of what he was trying to achive with creative use of lighting, mood, and the flowers from 300 hanging planters that graced the streets of Victoria. Although technical difficulties stopped us from watching a few of his works (one on the history of Crystal Gardens and a commercial he produced) we were able to watch and ask questions about several others. Barry, who operates the http://www.speakfilm.com/ website, is an entertaining speaker, with an amazing knowledge of the movie making art. We are fortunate to have had him back, and hope that we will see him again soon..! Oh, and the 300 planters---they were used to create a 'dream' meadows scene in a movie that he made and sold to Bravo. Way to go Barry..! Chris Kruger is also a member of VMUG and is an independent video editor in Victoria. He has been editing and teaching Final Cut since 2002. He edits videos for government, corporate, and non-profit clients, as well as being a hobby filmmaker and video artist. He manages the One Moon Art gallery in Esquimalt, featuring the work of Coast Salish artist Darlene Gait. Chris has worked at a visual artist/mixer for local festivals such as the Cowichan Folk Festival, and private mid-size concerts in BC and Washington. Chris' website is www.islandmediadesign.ca and features examples and links of his work. Chris took us on a tour, albiet abbreviated, of Final Cut Pro. Just the list of features would have taken a half-hour to read out..! Final Cut Pro appeals to the editor who needs a sophisticated non-linear editing tool with a wide range of built-in features, and the ability to extend those features with professional level add-ons. Sarah, along with her husband Chris Coll are active members of the Victoria Macintosh Users Group (VMUG). They lead the VMUG novice SIG and Christian is the current President of VMUG. Together they operate the family business: Alias Training (http://www.aliasmedia.ca/), established in 2000, that provides training and individual computer support to Macintosh users. If you are a mac user, check out their Mac University offerings…. Sarah gave us a brief overview of iMovie's capabilities and using a demo movie illustrated how easy it is to make changes to clips, including effects, titles and even colour corrections. iMovie is a part of Apple's iLife collection of applications and is bundled with the operating system. 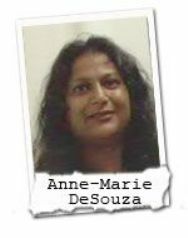 MARCH 2007 GUEST SPEAKER - Anne-Marie DeSouza - Anne-Marie attended the Gulf Islands Film and Television School (GIFTS) this past summer. She entered a contest that GIFTS sponsored, where you had to take a series of video clips and edit them. She was very happy to hear that one of her entries had won---entitling her to attend a week long 'media intensive program' at the school. Everyone arrived on a Sunday evening and the program ran until the movie presentations on Saturday morning. The demands were heavy, both physically and mentally, as the pressure built to work with your team to script, storyboard, shoot and edit the movie---all in time for the Saturday deadline. There were a total of 16 students, broken up into four teams of four people each. Two teams selected to make a documentary, and the other two teams, including the team that Anne-Marie was on, selected to make a 'dramatic' movie. Anne-Marie related that she was editing their team's movie (using Premier Pro software) all day Friday, and up to about 5:30 a.m. on Saturday morning. All-night editing...who could ask for more..!! Sounds hard, but it was clear that she enjoyed the experience and challenges...'cause Anne-Marie wants to go back another time! We watched all four of the movies that were produced that week at GIFTS, as well as a movie that was produced with another team for a Communications course of study conducted at Royal Roads University. It was clear that Anne-Marie has a passion for making movies, and we thank her for sharing that will the club. Hope to see you soon Anne-Marie (just not at 5:00 a.m. while editing...!!). p.s. you can view a selection of movies made at GIFTS on their web-site; just visit their film library. FEBRUARY 2007 GUEST SPEAKER - Sony Canada - Bryant Goodburn, the assistant manager at the Sony store located in the Mayfair Mall, came and did a great demo of Sony's new High Definition HDR-FX7 camcorder. Bryant took the day off work to go around town and shoot video which he presented at the meeting that evening. The FX7 was connected to a LCD projection unit (thank you President Peter!) via a HDMI cable, and we were suitable amazed at the colour rendition, picture detail, and overall quality of the camcorder. Of course, at a list price of $4,999 for the FX7 we were not expecting to be disappointed...! The FX7 looks to be the spirtual succesor to the highly successful VX2000 line---with similiar looks and control layout. 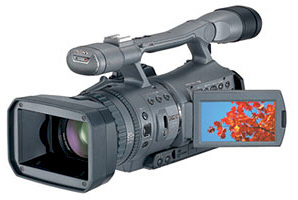 However, the FX7 is smaller than the VX2000 series of camcorders, although weight seems similiar. Stan brought in his high definition HDR HC3 camcorder (which is being replaced with the HC5), which retails at about $1,100. This allowed us to compare images (although Stan's footage was shot exclusively indoors) and it was clear that the HC3 was VERY close in overall detail, and also provided good colour rendition (considering that the HC3 is a single-chip CMOS sensor, while the FX7 has the 3-chip setup). It is clear that anyone considering a new camcorder purchase should be focusing on a High Definition model that allows you to shoot in HDV, while still maintaining backwards ability to use Standard Definition. Bryant had hoped to do a demo of HDV editing using Sony's Vegas Studio software and/or Sony's Cinescore music soundtrack software, but alas, this was not to be...so we'll have to invite him back!!! JUNE 2006 GUEST SPEAKER - May Street Group - Sandy Mayzell has worked with The May Street Group since April of 2002, and is currently the producer of a one-hour documentary "Singing Home the Bones: A Poet Becomes Himself" in production with CHUM Television. She is also their Director of Communications and readily agreed to Margaret's request to come and visit with the club members. But there is a problem when trying to meet with someone that works in a group that enjoys an international reputation of excellence and that produces award-winning programming for television---they are VERY BUSY..! Nevertheless, Sandy found some time to break away for our June meeting and give us a glimpse into the hectic and creative world of The May Street Group. Sandy walked us through the process of how a show is produced. First there is an idea. The idea might walk in the front door, as many folks have done at the The May Street Group, and ask to be heard. Regardless of where the idea comes from each project has got to start somewhere. But an idea isn't enough. As Sandy explained...the idea has to be worked into a story. So if the top three attributes of a successful business are "Location, Location, Location." then the top three attributes of a successful program are "Story, Story, Story." She referred to the 'arc' that has to exist, where each story has (wait for it), a beginning, a middle, and an end. Then a "one pager" is produced. This is a key document in the birth of a show. It has to catch the attention of a sponsor(s) and allow them to see what 'strand' your show can fit in to their series of programming. Sandy mentioning that if your show doesn't fit one of their strands, then the one-pager won't go any further. However, if you do catch their attention then meetings are scheduled and you get to make your pitch...and hopefully this leads to a deal and funding to produce the next step---a "Treatment". The treatment can be up to twenty-five pages and it covers more detailed planning for the program such as funding, scheduling, and so on. There is a huge amount of work that has to get done before production starts, and it may be a minor miracle that eventually the team enters post-production. When the program is done it is distributed in accordance with the negotiated deal(s). Typically a sponsor will have a period of time (a "window") in which they have the right to show the program as they see fit. For example, a sponsor may have a year in which they have exclusive right to show the program. Once the year is up other distribution channels can be used. There is even a "non-broadcast" distribution channel that can be used for individuals or groups that want ot purchase a copy of a documentary or other program to show in private settings. But all the hard work fades into insignificance when the program starts and your audience is captivated, entertained, educated, and informed---as we all were with samples of "Fires that Burn - The Story of Sister Elaine" and "Checklist: A Measure of Evil" and some footage of Sandy's current project "Singing Home the Bones: A Poet Becomes Himself." MAY 2006 GUEST SPEAKER - Peter Bruce, was our guest speaker for the May meeting. He chatted with club members about what can be achieved when there is a shared vision, when there is a positive outlook, and when you can go beyond the ordinary into the extraordinary. Using a laptop, a projector, and a series of photographs Peter took us on a journey of discovery. Starting with an establishing shot of his kitchen he proceeded to select several items within that room. Using those items he showed us how they can be photographed to look “ordinary” or “extraordinary”. A vase of flowers morphs from something that is ‘nice’ to something that is ‘arresting’. 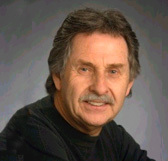 "Getting the Edge: 30 Tips to making images that soar"
NOVEMBER 2005 GUEST SPEAKER - Barry Casson was trained in Hollywood as a director/cinematographer, and spent nine years as a TV news cameraman with CHEK Television here in Victoria. Several club members have attended workshops at the Victoria Motion Picture School (VMPS) and Barry's visit with us was entertaining and informative. Barry showed several videos he had produced and discussed a number of aspects of the pre-production planning (PPP) and production (e.g. lighting, camera movement). Barry brought a number of items, such as filter gels and camera filters that he handed out for people to see. Given the cost of some of the items, we also learned to wait until the next person in line says "got it," before releasing the item from our grip. In response to a question from the floor, Barry said that the best way to learn to make movies is "...to make movies." However, he also pointed out that you can learn a lot from courses (such as those offered at the VMPS), from clubs like the Victoria Video Club, and from just watching TV and Movies to see how scenes can be organized and shot. OCTOBER 2005 GUEST SPEAKER - Mark Lemna, from PG Music (www.pgmusic.com/) visited with us and demonstrated how "Band-in-a-Box" software can be used, on both MacIntosh and IBM PCs, to create soundtracks for videos. Mark demonstrated how Style Set # 50, Soundtracks & Soundtracks MIDI Fakebook, along with Soloist Set 18, Soundtrack Soloists, are designed to produce music for a certain mood (blues, country, funny, mystery, jazzy, majesty, etc). The royalty-free songs mean that you don't have to worry about copyright infringment. By switching insturment sounds, tempo, and soloists, a wide-range of songs can be produced with minimum effort. Although some musical knowledge is helpful, the program can be operated by anyone with a minimum of computer knowledge. 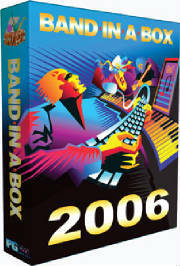 Mark extended a special offer to club members that bundled BIAB software with the Soundtrack sets. Club members were grateful to Mark and PG Music for his excellent demonstration. MARCH 2005 GUEST SPEAKER - Grace Salez is a graduate of the Film/Video program at the Emily Carr Institute of Art and Design (1997). 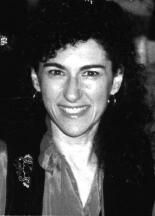 She produces short experimental videos and was awarded by the Greater Victoria Community Arts Council "Best Video", for Cream Puff Theory in 2003. Grace is actively involved in Victoria's independent film/video community through MediaNet, a non-profit society for film/video artists. She is the recipient of two BC Arts Council Grants, was the Guest Artist at the Visual Arts Program, Camosun College (2001), and at the Visual Arts Program, Malaspina College, Nanimo. She has been the juror for the Experimental and Documentary component of the Victoria Independent Film & Video Festival (2001) as well as EDGES, the "Best" of Canadian Shorts film festivals, Victoria. She has recently completed a 10-minute documentary about artist/sculptor Mowry Baden, and was also the researcher in the development stage of a documentary on the Chinese Cemetery in Victoria with the National Film Board. Grace was invited in 2003 by Ballet Victoria to become their documentarian. She will be presenting several short videos that she has produced and facilitating discussion about areas of interest to club members.